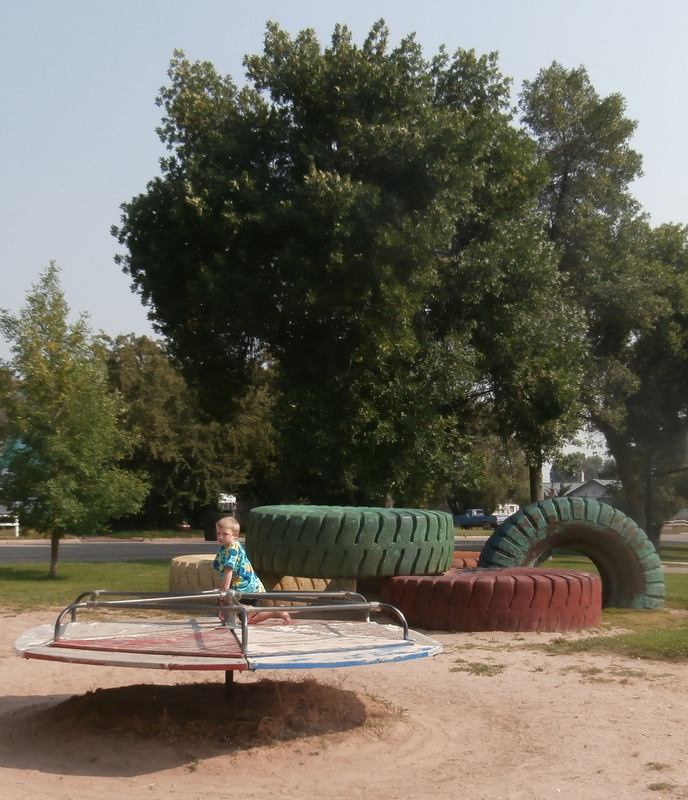 An awesome, old-school rural playground in Idaho. Huge old mining truck tires painted in rainbow colors stacked in big pile! A merry-go-round that spins fast and forever!